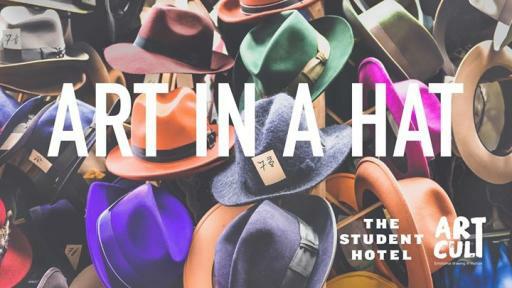 On the occasion of international #HatDay, The Student Hotel joins forces with the creative collectives ART CULT in FLorence & Firenze Drawing Club to draw the inspiring colours and sculptures of one of the world's most beloved fashion accessories, the hat. Two professional models will pose for you to draw, wearing creations by some of Florence's best milliners. We will meet in the Breakout Zone. Follow the signs in reception. Hats are supplied by Angiolo Frasconi of the prestigious Consorzio Il Cappello di Firenze and yes, you can try them on as well as draw them! A photo booth will be available for you to have your portrait taken with your favorite hats too. There is a bar and cafe also. The event is free but attendees will be asked to donation what you can afford to cover the costs of administration and show your appreciation. Put it in the hat.